Casey Craig — Rancho Mesa Insurance Services, Inc.
Casey played seven years of professional baseball. After his baseball career was over, he gave back to the baseball community by running numerous baseball camps, coaches’ clinics, and private lessons. His enthusiasm towards helping others has translated seamlessly into the Rancho Mesa culture, which thrives on doing the right thing. Casey’s focus is on construction insurance and risk profile enhancement for artisan contractors. His background in baseball has led him to a greater understanding of how important team work is to accomplishing a common goal. Casey was born and raised in San Diego. He lives with his beautiful girlfriend Lauren in Lakeside, CA. They enjoy going on hikes, cooking, taking trips to Mexico, the Colorado River and are HUGE Clipper fans. The property and casualty market over the last decade has been what we consider “soft.” Overall, insurance premiums have remained relatively flat, or in the case of workers’ compensation rates have decreased considerably. However, we are seeing significant pricing pressure in commercial auto. In the next few years we expect to see the same pressure in workers compensation. One alternative risk financing strategy that you may want to consider before the coming hard market is a member-owned group captive. Author, Casey Craig, Account Executive, Construction Group, Rancho Mesa Insurance Services, Inc.
Beginning December 2019, standards for using and renting aerial lifts will drastically change, globally. As a result, contractors are concerned they will not be prepared for the changes which could lead to loss of production and fines. Author, Jeremy Hoolihan, Account Executive, Rancho Mesa Insurance Services, Inc. Working within the construction unit at Rancho Mesa for over 15 years, I have developed strong long-term business relationships with my clients. As an insurance advisor, I have an obligation to insulate clients from exposures and liabilities. Many of which may remain the same from year to year. However, it is vital that business owners meet with their insurance advisor frequently, especially prior to an insurance renewal, to avoid potential gaps in coverage. Below are a few key topics that should be reviewed on a regular basis by a company’s insurance advisor. In September 2018, former California Governor Jerry Brown approved Senate Bill 1343 (SB 1343) which expanded the requirements for Sexual Harassment and Abusive Conduct Prevention training within California workplaces. When meeting with new contractors looking to qualify for increased bonding capacity, one of the first items generally discussed is the work-in-progress Schedule (WIP). Understandably, the balance sheet and profit & loss statement get the most attention when compiling financial information for the bond company, but the WIP, whether on a quarterly or six month basis, allows the bond company to gauge how well the contractor has estimated their projects and how conservative they have been on a project’s profitability. Preparation of an accurate work in progress schedule is the only way to gauge the true profitability of the company. Rancho Mesa Insurance Services, Inc. would like to remind its clients that February 1, 2019 marks the start of the Cal/OSHA Form 300A posting period. The Cal/OSHA Form 300A is a summary of the company's annual work-related injuries and illnesses. It must be posted from February 1, 2019 to April 30, 2019. Author, Daniel Frazee, Executive Vice President, Rancho Mesa Insurance Services, Inc. The very nature of the construction business creates risk; from injuries in the course of employment, damage to property, third party liability, etc. One important area that can be overlooked is equipment security. While there is simply no way to eliminate 100% of risk to equipment, there are several steps a contractor can take to initiate proper controls and minimize losses in this area. In September 2018, former California Governor Jerry Brown approved Senate Bill 1343 (SB 1343) which expands the requirements for Sexual Harassment and Abusive Conduct Prevention training within the workplace. 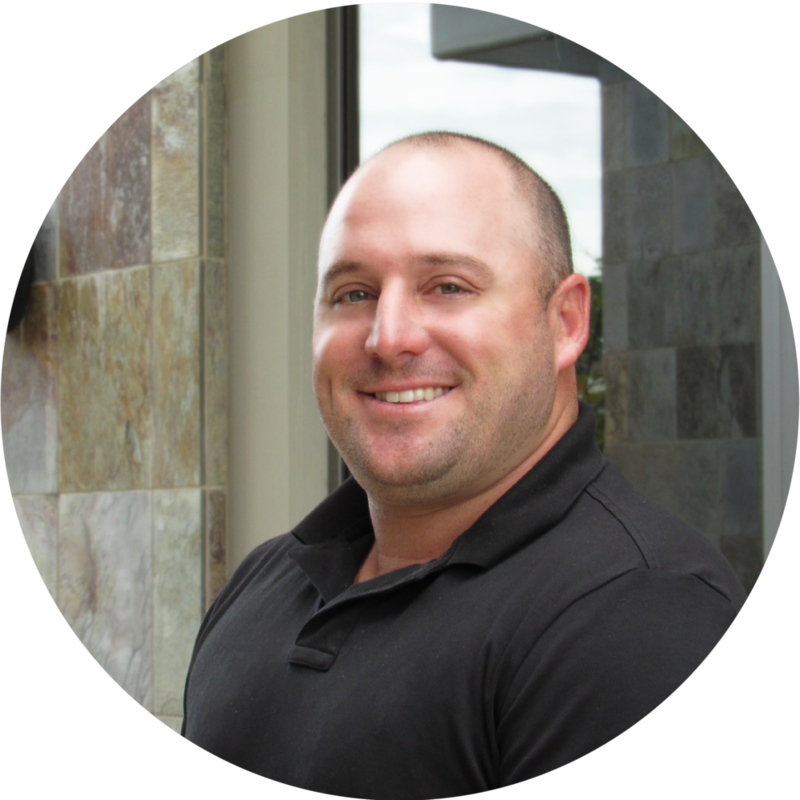 Author, Casey Craig, Account Executive, Rancho Mesa Insurance Services, Inc.
Falls from elevated heights are the single most hazardous injury within the construction industry; representing 38% of all construction fatalities (NSC Construction & Utilities). That is a scary fact if you are a painting contractor that works off the ground. In years past, it was common to see painters working on multi-story scaffolding with few controls in place, or working from ladders on top of trucks to get those extra couple feet needed to finish a project. Workers compensation underwriters have difficulty with risks that work over 30 feet. Why is this 30 foot threshold so critical to insurance companies who write workers compensation? Author, Jim Malone, Workers’ CompensationClaims Advocate, Rancho Mesa Insurance Services, Inc.
Workers’ Compensation injuries occur every day. The majority of these injuries are minor incidents which require no medical treatment or loss of time from work. For others, the injury is reported to the insurance carrier, the injury is addressed, forms are provided, and the recovery from the injury is monitored until the employee is released back to work and a discharge from care is provided. Author, Andy Roberts, Account Executive, Surety Division, Rancho Mesa Insurance Services, Inc.
For small or new contractors that are looking to break into the world of government contract work, the process of getting a surety bond program in place can seem like an onerous one. It requires the contractor to compile a lot of paperwork and detailed financial reports, which can be a daunting task for any contractor, regardless of size or experience. However, there are now several “A” rated sureties that provide credit-based programs for writing smaller bonds. Every business or non-profit that purchases a form of liability insurance has seen the term deductible or self-insured retention (SIR). While many know the difference between the two, many do not. Deductibles and SIRs, while quite different, are both designed to keep your premiums down. Insurers are willing to reduce the premium on policies, which have a deductible or SIR, because the insured assumes some of the risk. This however, is where the similarities end. Authors, Shane Medlin, Employee Benefits Account Executive, Rancho Mesa Insurance Services, Inc. The Internal Revenue Service (IRS) released Notice 2018-94 outlining extended deadlines for 2018 Minimum Essential Coverage under Section 6055 and Large Employer Shared Responsibility under Section 6056. This notice extends the due date to provide individuals the 2018 Form 1095-B, Health Coverage, and the 2018 Form 1095-C, Employer-Provided Health Insurance Offer and Coverage, from January 31, 2019, to March 4, 2019. This notice also extends good faith transition relief from section 6721 and 6722 penalties to the 2018 information reporting requirements under sections 6055 and 6056. If you have operated a business in the state of California for any period of time, you have very likely heard about or run across the acronym IIPP. Wherever you stand with your knowledge within the world of safety, injury, and illness, it is important for every organization to understand the mandatory parts of an IIPP. What is often overlooked is how developing an effective safety program can create positive change and truly impact your bottom line. Reporting workers’ compensation claims in a timely manner can have a huge impact on the severity of the claim. Some policyholders believe the practice of not reporting employee injuries early is a good business practice. This could not be further from the truth. Author, Drew Garcia, Vice President, Landscape Group, Rancho Mesa Insurance Services, Inc. Many city contracts and some residential communities will call for landscape contractors to install, maintain, or remodel road dividing medians. The potential risk for injury that can occur due to this exposure is highly severe. If your operations include any percentage of median work, then be sure to understand this increases your overall risk profile and slides the operations needle towards “heavy” in class. On September 30, 2018, California Governor Jerry Brown, approved Senate Bill 1343 (SB 1343), which expands rules for required sexual harassment prevention training for businesses. Currently, employers with 50 or more employees must provide supervisors with sexual harassment prevention training every two years. By January 1, 2020, employers with 5 more employees must provide at least 2 hours of sexual harassment prevention training and at least 1 hour of training to non-supervisory employees. The trainings are required every 2 years. What is a Surety Bondability Letter? When an owner or general contractor is looking to pre-qualify a contractor for a specific project, they will often request the contractor to submit a bondability letter from their bond agent. The bondability letter provides the owner with an assurance that the contractor has been underwritten and approved by a surety company for support of a specific project. The bondability letter is issued for no cost (it is regarded as a standard service provided by the bond agent). In April 2018, federal OSHA announced all affected employers are required to submit injury and illness data (i.e., Form 300A data) via the Injury Tracking Application (ITA) online portal by July 1, 2018, even if the employer is covered by a state plan like those in California, Maryland, Minnesota, South Carolina, Utah, Washington or Wyoming. Author, Jeremy Hoolihan, Account Executive, Construction Group, Rancho Mesa Insurance Services, Inc.
A few of my janitorial clients have recently asked for information on the Property Service Worker Protection Act (AB 1978) and its requirements. Below is a description of the law and instructions on registering. As a reminder, the deadline for all janitorial service providers to register for the Property Service Worker Protection Act was October 1, 2018. If you have not yet registered, I would recommend doing so, as soon as possible. When we review contracts that require bonding, one area that we need to understand is the warranty obligation. I would expect that over 90% of the contracts that we review for our contractor clients contain a standard one-year warranty term. Since Performance & Payment Bonds respond to the contract, the surety company is also on the hook for this one-year obligation. Premium rates for bonding already include the cost for this one-year warranty in the cost of the performance & payment bond. Author, David J Garcia, A.A.I, CRIS, President, Rancho Mesa Insurance Services, Inc.
I’ve written at length on the negative effects distracted driving is having on the automobile insurance industry and its impact on the rise in accidents, claim costs, and increases to your automobile premiums. But, have you considered its effects on your Experience Modification Rate (EMR) and ultimately workers’ compensation cost? Author, Sam Clayton, Vice President Construction Group, Rancho Mesa Insurance Services, Inc.
Driver selection guidelines are one of the most important things a company can implement to prevent vehicle accidents. A company should manage a written Motor Vehicle Records (MVR’s) program to assure that they are selecting the right employees to drive for the company and annually qualify each driver for desirable driving records. The following are some “best practices” guidelines that will help businesses implement and improve the driver selection process. Author, Drew Garcia, Vice President, Landscape Group, Rancho Mesa Insurance Services. Physical work is demanding on our bodies. As the employer, what are you doing to help your employees prepare for the day’s work? Collectively, the most severe injuries come from the lower back by way of strain or sprain as a result of lifting. It’s not always the heavier objects causing the injuries. In many cases, early morning “light” lifts or movements can quickly cause a strain or sprain. Eliminating lifting exposures is the ultimate solution to limiting back strains; however, it is not always possible. Interactively training your employees to accurately lift material with proper technique is a preventive approach you can implement today to limit your businesses lifting exposure. Author, David J. Garcia, A.A.I, CRIS, President, Rancho Mesa Insurance Services, Inc.
As we approach 2019, there will be several changes in the experience modification formula that directly affects the calculation of an employer's 2019 Experience Modification Rate (EMR). Part 1 of this article describes the Primary Threshold and Expected Loss Rate. Read Part 1 of this article. Part 2 provides an overview of the changes to the EMR calculation. Some of my most successful bond clients opened their construction business with a good amount of working experience on their resume, but only a minimal amount of cash and capital. Unfortunately, bond companies like to see a strong amount of cash and capital. Therefore, my goal, as their bond agent, is to work with what they have at the present time to explain why they are a “good risk” now for bid, performance, and payment bonds - along with ideas on how to overcome the initial cash and capital constraints. As we approach 2019, there will be several changes in the experience modification formula that directly affects the calculation of an employer's 2019 Experience Modification Rate (EMR). Sadly, most businesses are both unaware and unprepared. In an era where general contractors commonly require a Waiver of Subrogation from its sub-contractors before they are allowed to step foot on the jobsite, it is important to understand how a Waiver of Subrogation functions. Most companies simply tell their agent they need the waiver added to their contract, but what does this mean? How does it affect the policy? Century Painting Corporation acquired the innovative Safety Training Unit, also known simply as the Safety Van, in May 2018 and the benefits have been endless. The Safety Van is equipped with safety training topics, tools, and protective equipment. Safety meetings were previously held at the Century Painting office, but now Eddie Lopez, Safety Coordinator of Century Painting Corp. travels to the jobsites and trains the employees on the spot; saving time and reducing hassle for the workers. The Safety Van has job specific trainings loaded onto the TV mounted to the back of the van, making it convenient for Eddie to open the van, set up chairs, and give safety presentations to the workers at the jobsite. With the end of Spring Training and the start of the Baseball Season just around the corner I am reminded of all the valuable life lessons I learned from my managers and coaches during my professional career. I have always leaned on those experiences as a way to challenge, grow, motivate, and differentiate Rancho Mesa. Today I want to share a lesson I learned from one of my Managers as our team was leaving Spring Training and headed out to begin the season. Determined to help us have a great year, our Manager shared with the team some information about the pitchers we would be competing against in the coming year. He described them to us as being one of three types. On Friday, January 11, 2019, Rancho Mesa hosted their first workshop of the year: Cal/OSHA: Enforcement vs. Consultation. The workshop took place at San Diego Christian College in Santee, CA. Area Manager of the Cal/OSHA Consultation Services Branch, Carmen H. Cisneros, delivered an informative presentation on the various services Cal/OSHA provides for companies. Members and guests of the National Association of Women in Construction (NAWIC) San Diego Chapter 21 began the new year in style with an engaging panel discussion at the organization’s monthly meeting on January 8, 2019 at the Riverwalk Golf Club. Hundreds of San Diego’s homeless were forced to evacuate a downtown shelter on Thursday, December 6, 2018 after heavy rains caused a flash flood. Best friends Trinity Restine (daughter of Jeff Restine from Fuller Electric) and Kaia Hoolihan (daughter of Jeremy Hoolihan from Rancho Mesa Insurance) participated in the The ARGONAUT Holiday Obstacle Course Race (O.C.R.) on December 9, 2018 at Grossmont High School in El Cajon, CA.